Just like your skin, your eyes never recover from the harm caused by UV radiation. A lifetime’s exposure can cause issues like cataracts and age-related macular degeneration (AMD), which is why Lynda and the team at Leightons Haslemere wanted to ensure the branch was fully equipped for its customers. 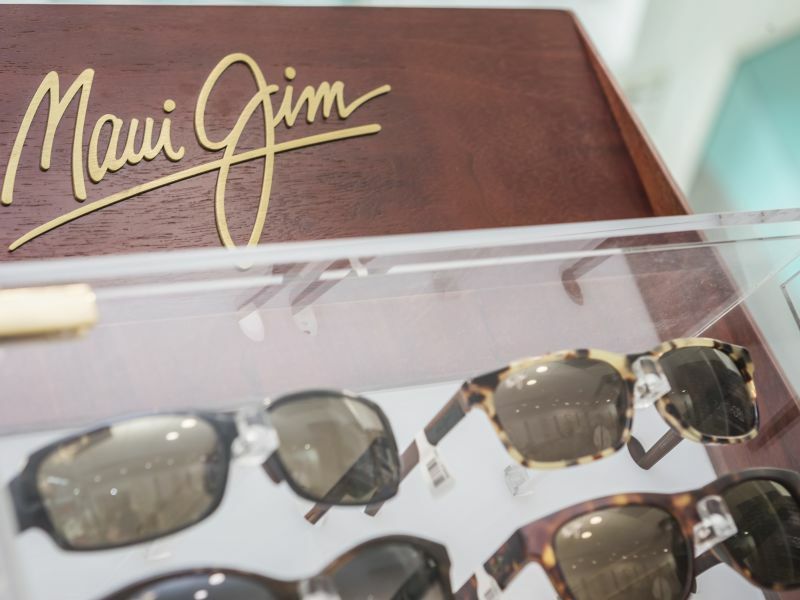 Maui Jim is renowned for its quality sunglasses and ability to tame the brightest of conditions – and its range of lenses doesn’t disappoint. All Maui Jim lenses are polarised, available in a variety of colour tints each suited to different activities and light conditions, from low light and playing golf, to everyday use or fast action sports - they have it covered. All the above and more is why Lynda Skeldon, Branch Manager wanted to make sure she could showcase the product in a beautiful cabinet and share the great technology behind the frames with every Haslemere customer. At Leightons, our priority is to always provide the very best care to our customers, and with only 7% of the UK population being aware of the risks of UV light on your eyes, we want to build awareness on the benefits of sunglasses. From winter to spring, harmful rays don’t discriminate against time of year, so make sure you and the family are all protected! All of our sunglasses can be offered with your own prescription in them, so you can see clearly and safely in the frames of your choice. If you're due to attend your next eye test or you’re just looking to update your look for summer, then why not pop in for a browse and chat? You can also book an appointment online today or give the team a call on 01428 643 975.